The Barbican is an architectural marvel, well known for its brutalist style. Built in the 1960s as a housing estate in an area flattened by the bombing in World War Two, it is now home to one of the city’s most important cultural centres. 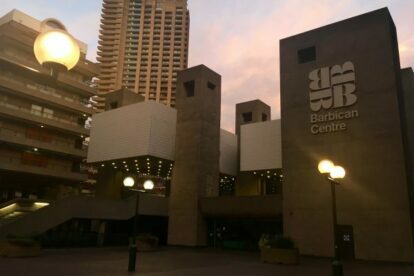 The Barbican centre really does offer it all – music, theatre, gallery and cinema all under one roof. The place is definitely worth a visit. For me, what makes this cinema great is its impeccable selection of films – a mixture of the best new releases and timeless classics from every era. Often, these screenings are accompanied by screen talks and Q+A sessions or discussions after the film is shown. Every July, they launch an enormous outdoor screen – an ode to the British summer and a perfect evening activity when the weather gets warmer. To top it all off they sell homemade popcorn and if you’re 16 to 25 you can join the Barbican as a youth member, which is free, and the tickets are just £5.